Ask fellow campers about "Grande Vista RV Park" and nearby attractions. This was a weekend trip for the Rex Allen Days fair and carnival. I arrived after hours when the office was closed but there was a sign stating check in box had all the info with option to pay via drop box or pay when leaving. Very easy check in. In the envelope was the passwords for wifi and shower codes. I met the host in the morning and made my payment. The girl was very friendly and helped me with questions about the festivities.. We camped at Grande Vista RV Park in a Motorhome. Stayed at Grande Vista for the Rex Allen Days and I couldn't have been more pleased. Check in was fast, laundry and bathrooms were clean. I will definately come back again. We camped at Grande Vista RV Park in a Motorhome. Only stayed one night and that was long enough. No one here to check us in, had to get wifi code from a neighbor, cable did not work, bathrooms locked, place messy and party noises until 1am. Filled out envelope at office the next morning and left. Sometimes the ratings don't match the park. When I called they would not honor Passport America, even though they are listed on the website. We camped at Grande Vista RV Park in a Motorhome. Spent one night in Aug 2018 @ $36. Park just under 1 mile from I-10 but no road noise. Easy to find through town! Gravel pull-through's & back-ins are flat, level and clean. Whole park looks great. Cable TV (8 channels). WiFi is OUTSTANDING!! Staff superb. New management will/should update very clean bath-house. Still great but shows age. Laundry very economical. Lots to do locally if towing. We camped at Grande Vista RV Park in a Motorhome. clean, quiet, convenient park. all gravel, clean laundry room.nice community room. friendly helpful staff. 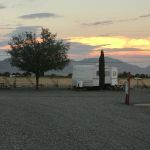 We camped at Grande Vista RV Park in a Motorhome. This is a basic campground with the only amenities being a Laundry Room and Club House where there is a sofa and chairs, TV and DVD and VHS player. The Office staff were very friendly and accommodating keeping the club house open all night on New Year's Eve for us. The park is located convenient to downtown Historic area and a good Safeway for shopping. There are many attractions nearby such as the Chiricahuas National Park, Fort Bowie National Park, Roper Lake State Park and a number of birding areas. The RV park is quiet with the only sound being the rumble of trains as they travel by about a mile away but as they don't blow their whistles they are not a problem. We camped at Grande Vista RV Park in a Motorhome. My site is used just for monthly or long term stays but we requested it as our friends were staying in the adjacent site for one month. There are some nice sites that are quite large at the western end of the park. They have overnight sites near the office and entrance that are also in a quiet area. small, clean park with very friendly staff. stayed 2 times this month passing through. very quiet and dark, nominal road noise. We camped at Grande Vista RV Park in a Motorhome. We had a 50 amp full hookup nice and roomy pull-thru site in front with a picnic table. There is a nice customer lounge and game room next to the office but the best thing about this campground is the owners. So friendly and willing to help with any problems you might have. We hope to return sometime in the future. One of the joys of RVing comes from the people you meet along the way. We camped at Grande Vista RV Park in a Motorhome. Only stayed here for one night but was impressed as soon as we drove in - clean, tidy, quiet and the office manager was so friendly. Will definitely come back if I am in the area again! 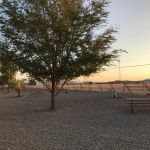 We camped at Grande Vista RV Park in a Travel Trailer. This park is a combination of park models to rent, full-timers and a handful of nightly spaces. We had a pull-through plenty long enough to avoid unhooking. The staff was courteous and friendly, making certain we knew of the amenities the park offers. We could not get the WiFi to work on the computer or the cell phone. The park is convenient for an overnight stop. We have used it previously and would stay again. We camped at Grande Vista RV Park in a Fifth Wheel. Very nice and clean park. Will use again. 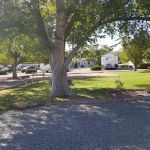 We camped at Grande Vista RV Park in a Motorhome. Awesome RV Park, very quiet. She put us in the back of the park and we could not hear the trains or traffic from the interstate at all. The park was very clean and well kept up. Watch free movies to borrow and a pool table in the community room. We were very pleased and we'll be back for sure. The owners were very nice and personable. We camped at Grande Vista RV Park in a Motorhome. 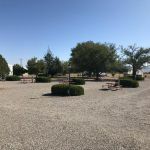 This is quiet, well maintained combination trailer and rv park. The staff is exceptionally friendly and helpful. Although Willcox is a small town, there all the basic services readily available. I stayed a week and will probably stay here again. 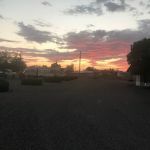 We camped at Grande Vista RV Park in a Travel Trailer. The new owners have performed several extensive upgrades which are very appealing. If you have dogs it is very dog friendly. 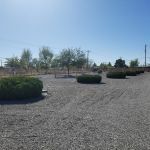 Definitely the best park in Willcox. We will go back. The owners are so very nice. Wineries are quaint and very reasonably priced. We camped at Grande Vista RV Park in a Fifth Wheel. Are you affiliated with Grande Vista RV Park ?